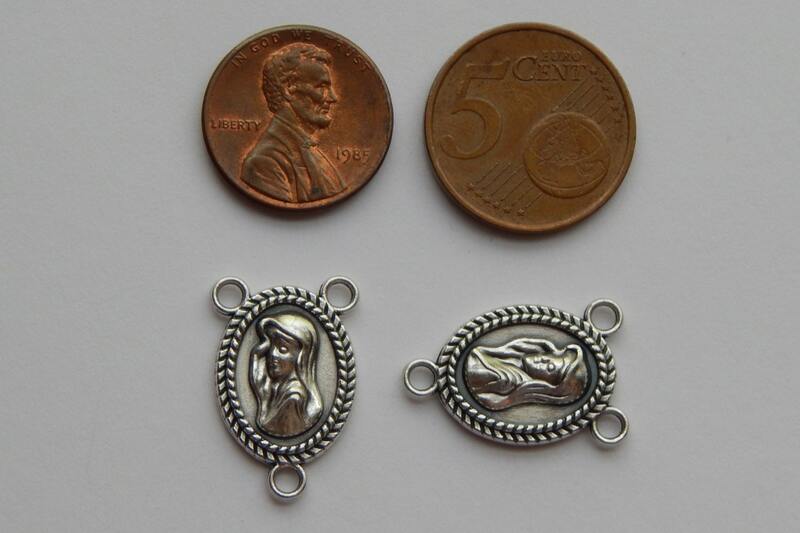 Small sized rosary center finding, featuring Mary / Ave Maria / Hail Mary. Double sided design, different design on each side. 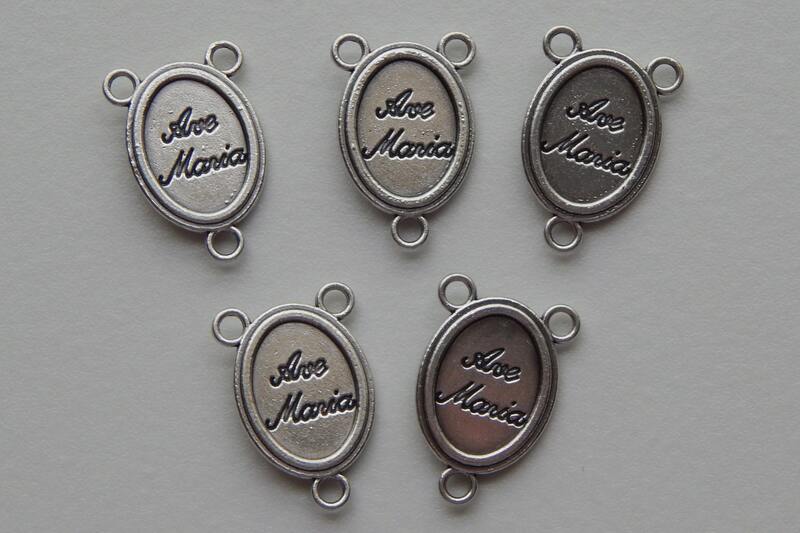 Pieces are silver in color, with an oxidized base metal content. Oxidizing metal creates a protective surface, to help prevent rust and corrosion. Oxidizing also provides richness in detailing. 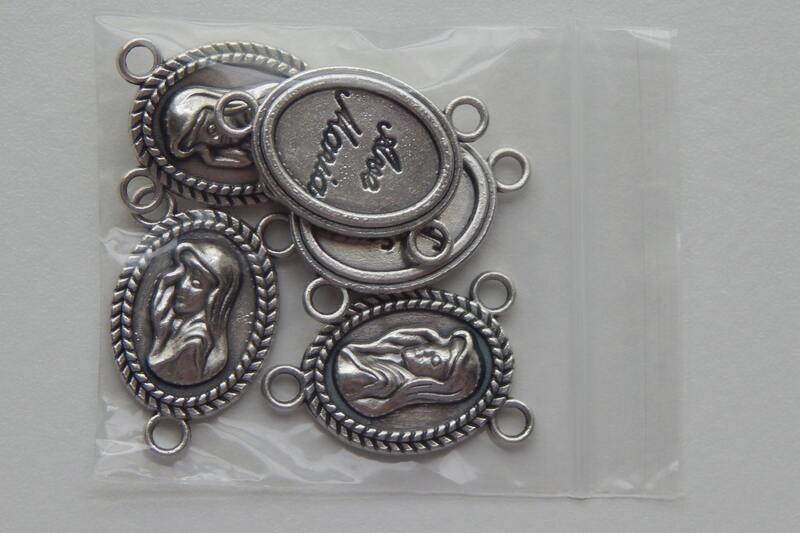 Pieces measure 22.6mm high x 14.8mm wide x 3.3mm thick. Three loop connectors, with hole sizes of 2.5mm. Medals are imported from Italy. 1 piece. 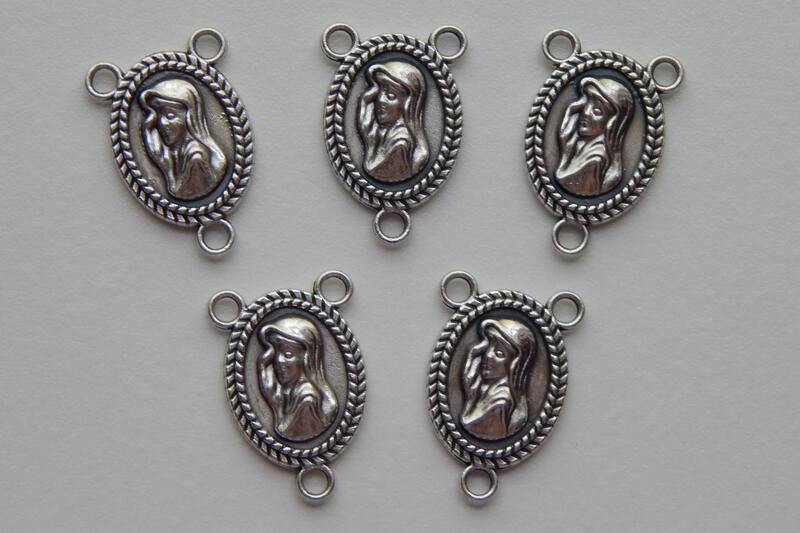 Size/Measurements: 22.6mm high x 14.8mm wide x 3.3mm thick. Three loop connectors, with hole sizes of 2.5mm. 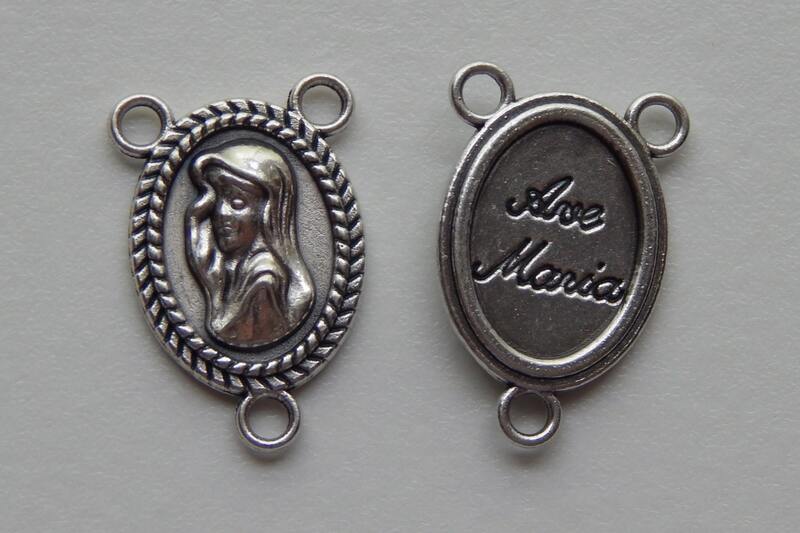 Mary / Ave Maria / Hail Mary.